The growth of e-commerce has led to the evolution of online stores, increasingly making them ‘smart’ stores. You have surely noticed that there are many online stores today that, once you have chosen the product you want to buy, automatically suggest accessories or other products. They know our tastes. One of the main concerns for any e-commerce is to increase its sales. To this aim, there are many strategies and techniques that exist and that are currently being applied. This article will focus on two of them: up selling and cross selling. The purpose of an up selling strategy is to encourage a user, who has shown interest in or chosen a product on an online store, to upgrade it to a higher-end product which generates more profit for the e-commerce. Let’s think, for instance, of an e-commerce that sells watches and assume that a customer who is in our online shop has added one to his shopping cart. 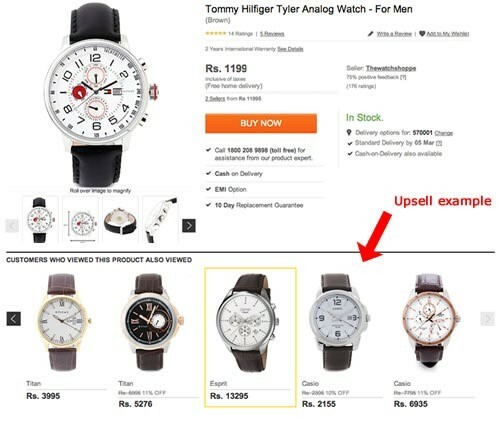 An example of an up selling strategy would be to show similar, but higher-end watches, and make him see the benefits of these products against the one he had chosen first place. The aim of up selling is that the customer buys more expensive products, which generate more profit, not that he buys more items. This means that the purchase process phase when we apply it (timing) is essential in the up selling strategy. Success depends on applying it at the right time, which usually corresponds to the online checkout of the product, by seeking a product related to that the customer intends to buy. When doing so, we increase the chances of reaching the sales desired. But it is also important to apply it in a subtle way that is not aggressive, and to facilitate the purchase as much as possible. We should be careful not to lose a purchase searching for a better one! Instead, a cross selling strategy aims to have customers add more products to their shopping cart. A customer enters her e-commerce, shows interest in buying a pair of shoes and seems determined to make the purchase. This is where the cross selling strategy comes in, which involves offering or showing products that complement the one the customer wants to buy. In this case, if the customer wants to buy shoes, she may need or want a complement that perfectly matches her new shoes. Unlike the up selling strategy, the cross selling technique can go beyond the time of the purchase, so the timing is not so critical. If the customer has decided not to buy any additional product at the moment, you can offer these new products later on via email or through other means. In fact, much of this strategy relies on having a database of customers who are offered related products, in line with their latest acquisition or previous purchase. 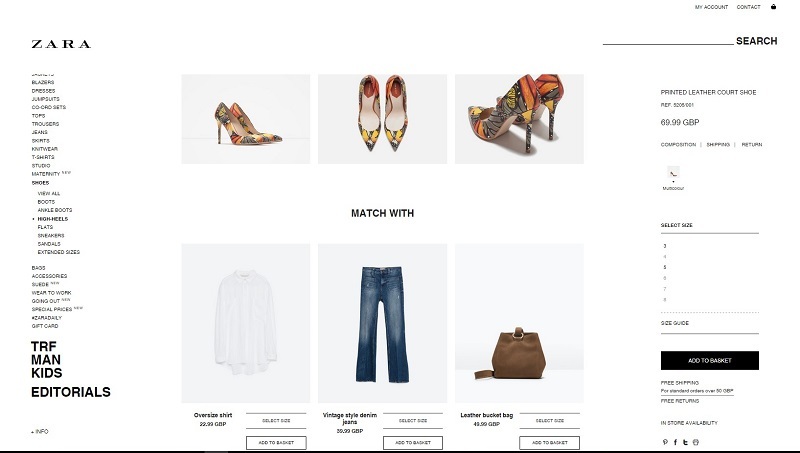 When applied subtly and creatively, both techniques are very effective strategies that can deliver great results to e-commerce. The key is that customers do not feel pressured to buy more or spend more. If so, the result can be quite the opposite. 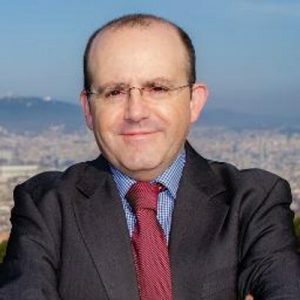 The strategy will be successfully implemented if the customer has the feeling that he is being offered a better solution, an additional service, and not that he is ‘made to buy’ a product different from the one he wants. 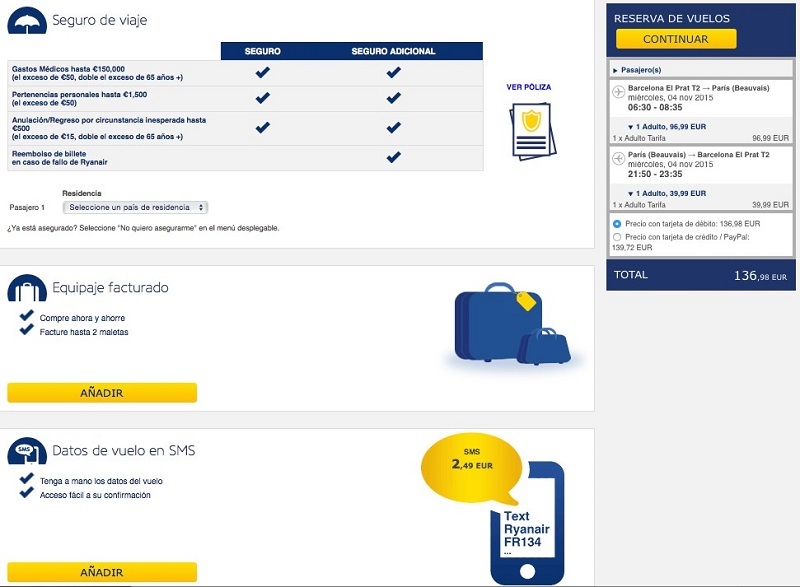 Maybe you still haven’t noticed, but airlines, for example, have been implementing these techniques for a long time, offering insurance, car rental, hotel reservations and others in the checkout process along with your ticket. Finally, it is worth mentioning that both cross selling and up selling are techniques aimed at increasing sales. Therefore, e-commerce should already be generating sales when we apply them. They will not work in the growth phase of a new company e-commerce when sales are very low, which would require applying other strategies.